Des Müllerbier aus Debring ist echt super! The dark Vollbier is among the best in Franconia. Compared to an equally good example in Ebing, this beer is more typically Franconian in style - more pronounced sweetness from the malt and an aromatic but still powerful hop character. We spent an afternoon here with a German Frau named "Gabriella." 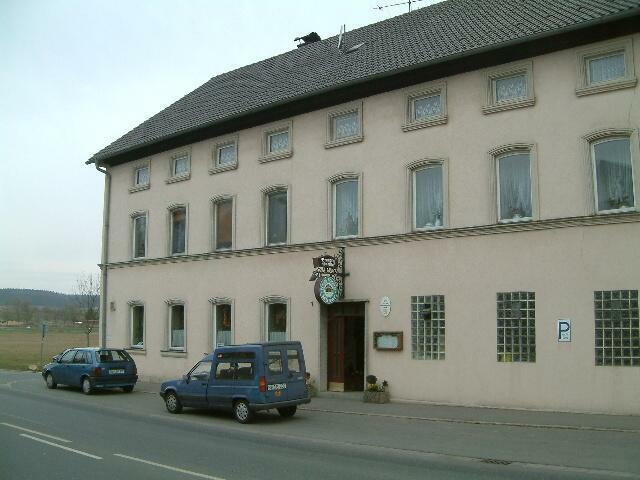 This was her favorite local gaushaus.It was very clean,friendly,good food & bier. New: 2 More sorts of beer from Brauerei-Müller: Weissbier and Stöffla. Very GOOD! Perfect food, good service. Now the important thing - the beer: we sampled the unfiltrated Helles and the dark Vollbier. The unfiltrated was on the light side and became tastier towards the end of the glass. A nice and easily drinkable beer, without sharp corners unfortunately. The dark beer was simple but okay. Without surprises. There are tastier beers around... at Herrnsdorf, just a few kilometres down the road, for example! Easily reached by Bamberg city bus. The Dunkles was sweet the the food mediocre. They brew a broad range of beers, so I'm sure I could have found something I liked if I had stayed longer.